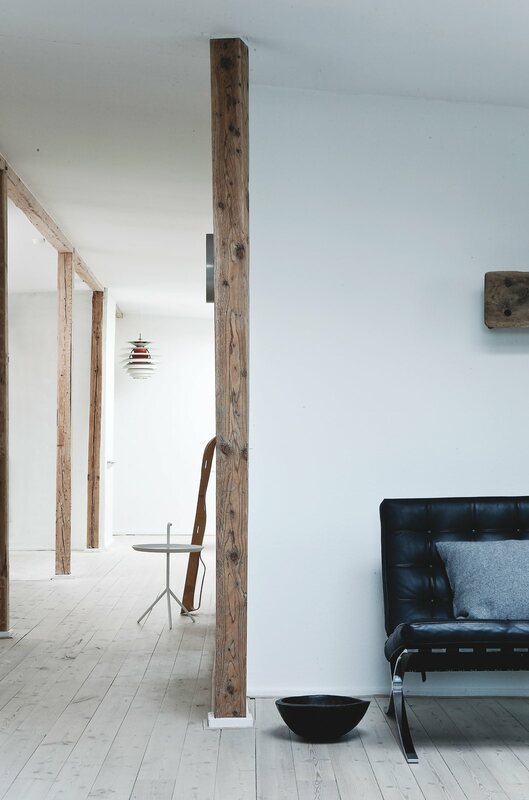 Open hallway with exposed old wooden beams and columns. Project Fredgaard Penthouse in Østerbro designed by Norm.Architects. Photographed by Jonas Bjerre-Poulsen.